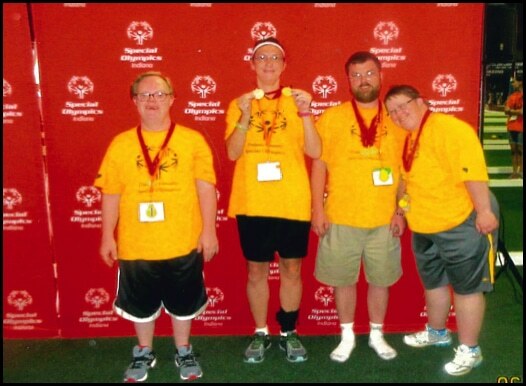 Scott Clark, pictured third from left, participated with his Special Olympics team at Terre Haute Bocce Tournament in June. He received two gold medals for his efforts. Scott works in the Maintenance department on 1st shift. Congratulations to Scott and his team!